There really is nothing like a sibling bond. It’s a connection that cannot be described in one word. It’s the pure comfort you feel together, even in silence. True, there are days when you want to pull each other’s hair, but you still can’t ever imagine life without them. Choosing the perfect Rakhi gift for your sister is imperative. At Select CITYWALK we understand how much it means to you, so following our credo of spoiling you for choices, here are some of the things we are sure you’d love. A classic piece of handcrafted accessory is an ideal gift for your artistic sibling. Nappa Dori does excellent bags, laptop sleeves that are stitched to perfection, and will also make a distinct statement that whispers elegance. You can also pick from their range of DIY kits. They’re also celeb’s favorites, what more can you ask for? Raksha Bandhan is after all the season to be spoilt; a classic watch on your sister’s dainty wrist would do just the trick! While watches might be pricey, it’ll certainly be worth it the when you see that smile on your sister’s face. Ethos at Select CITYWALK has a plethora of brands that you can choose from. Women love nothing more than a good pair of accessory and it doesn’t matter how many bags they have, they’ll always love some more. 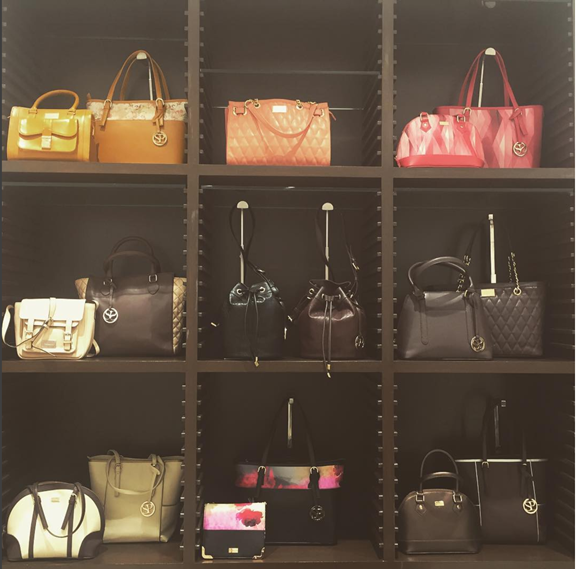 From scarfs to designer bags, find the most stylish & trendy women’s accessories at Satya Paul Accessories. These make an ideal gift for you sister adding the perfect finishing touch with Satya Paul’s standout pieces. To make your sister feel like the queen she is, invest in goodies from the lap of luxurious Ayurveda at Forest Essentials. There is also an exquisite range of gift boxes that are available at their store in Select CITYWALK. These boxes with their precious contents are wrapped in fragrant tissue lavishly tied with matched grosgrain ribbons and shall leave you sister spoiled for any other experience. 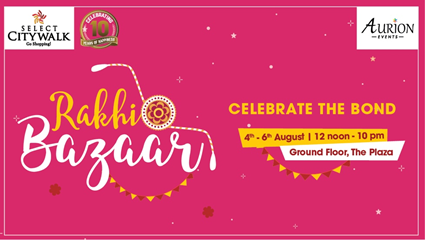 Still, can’t figure out what to buy for your special sibling, fret not, the Rakhi Bazaar is back at Select CITYWALK. We have a host of activities that you can indulge in with your sibling and amazing options to shop from, we’ll ensure that this Raksha Bandhan is a very special one. Come to Select CITYWALK from 4th to 6th August and take your pick from Apparel and Accessories to Personalised Gifts, Furnishings, Home Décor, Jewellery and more. So this Raksha Bandhan along with your precious promise of protecting your sister, add to the list these thoughtful gifts that’ll leave her beaming all day long.